The following prayer is attributed to St. Patrick of Ireland, circa A. D. 377. To me, it's both freaky and intriguing. Christianity is not wizardry or magic. But Patrick's use of imagination to envision God's presence in all nature and surrounding us--that's powerful stuff. I read this prayer each year--half because there is actual historic and spiritual substance behind the now-mythic figure of Patrick and this prayer at least points us in that direction (as opposed to mindless drunken ethnic frivolity), and half because it's about the only time of the year I care to acknowledge that I am of Irish descent (via my maternal great grandfather Thomas Garrett). 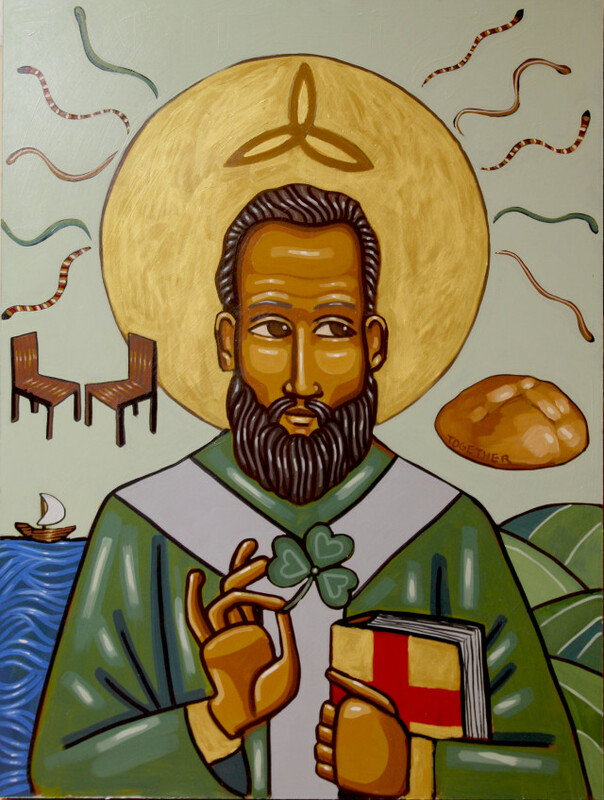 This prayer, called St. Patrick's Breastplate, is fascinatingly comprehensive, even exhaustive. It mentions things I frankly never think of or even believe matter. Even so, that it reminds me of these things is instructive. It also gives a sense of how much Patrick and early Christian forebears saw nature itself as being in concert with grace. This reflects the Psalms. "All nature sings." Talk about imagination! Patrick's sense was that all life is bending toward or expressing Trinity at its very core. But this thing about "summoning"--I don't get that, I don't think like that, and I do not see that as the manner of prayer or use of spirituality in the New Testament. Christians are not wizards. Christianity is not magic. Prayer is not incantations. Prayer is a conversation in a relationship. It is a communion. When it comes to addressing temptations and evil, the prayer Jesus taught his disciples is far more simple and direct: "Lead us not into temptation, but deliver us from evil." Interesting that Patrick's imagination envisioned Christ's perpetual, enveloping presence throughout one's day, but did not go so far as to imagine prayer as something just as intimate, simple, and direct. It is likely that this "prayer" wasn't supposed to be prayer at all. Perhaps it is more in the genre of a pronouncement, a preaching, a teaching, a public prayer. Just goes to show that we can say some pretty weird and awesome things about God and grace and life when heads are bowed, eyes are closed, and we know people are listening attentively.